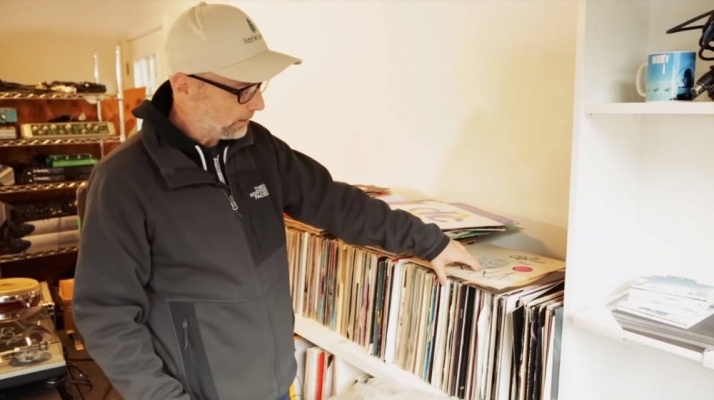 Legendary dance music Dj and producer, Moby, is putting his entire record collection up for sale June 14th! The DJ/producer is a vocal vegan and animal rights activist and is planning to donate all the profits to Physicians Committee for Responsible Medicine, an organization that advocates for alternatives to animal testing and cruelty. He’s spent years building this incredible vinyl collection of over 1000 records of techno, house, and hip hop music. These are same vinyls he actually used to play as a DJ in the 80s and 90s and many of them even have handwritten markers he used to help guide him during his live sets. Just a few months ago, Moby raised money for the same charity, selling over a hundred musical instruments and equipment. Moby’s records will be up for sale on Reverb Marketplace today!